(TibetanReview.net, Jan19, 2018) – The University of Texas in the US city of Austin has rejected last week a proposal by the leader of its new China center to accept money from the China United States Exchange Foundation (CUSEF). China is known to try to shape discourses at American universities, stifle criticism and influence academic activity by offering funding, often through front organizations closely linked to it. That aspect of Beijing’s foreign influence campaign is now beginning to face resistance from academics and lawmakers, reported washingtonpost.com Jan 14. The decision to reject the Chinese government-linked funding came after six months of internal dispute, a high-level investigation and an intervention by Senator Ted Cruz (R-Tex. ), the report said. The proposed funding was to come from the Hong Kong-based foundation. Its leader, Mr Tung Chee-hwa, is closely linked to the branch of the Chinese Communist Party that manages influence operations abroad, the report said. The debate was reported to have erupted after the China Public Policy Center at the university’s LBJ School of Public Affairs opened in Aug 2017. Its Executive Director David Firestein was reported to have proposed to make CUSEF a principal funder of the initiative. University President Gregory Fenves reportedly launched an investigation after several professors and university officials raised concerns about ties among CUSEF, Tung, who was the first China-appointed Chief Executive of Hong Kong following its handover from Britain, and the Communist Party. The report continued that over several weeks, Fenves met with intelligence officials and experts to gauge the risk that accepting CUSEF money could compromise the university’s academic integrity or give China undue access to and influence over academic products. Tung is currently a vice chairman of the Chinese People’s Political Consultative Conference, a party organ that self-identifies as “a united front organization”. The CPPCC and the Communist Party’s United Front Work Department collaborate on China’s influence operations abroad. His foundation is said to have funded research at many leading academic institutions and think tanks in the USA, including the Johns Hopkins University School of Advanced International Studies and the Brookings Institution. Senator Cruz was reported to have warned Fenves in a Jan 2 letter that accepting CUSEF money could allow China to spread propaganda and compromise the university’s credibility. He was reported to have written that CUSEF and the United Front were the “external face” of the Communist Party’s “internal authoritarianism”, and giving them access to UT-Austin’s education system could lead to “undue foreign influence and exploitation”. The university has now decided to ban all CUSEF funding. Fenves is said to share Cruz’s concerns that accepting CUSEF money “could create potential conflicts of interest or place limits on academic freedom and the robust exchange of ideas”. 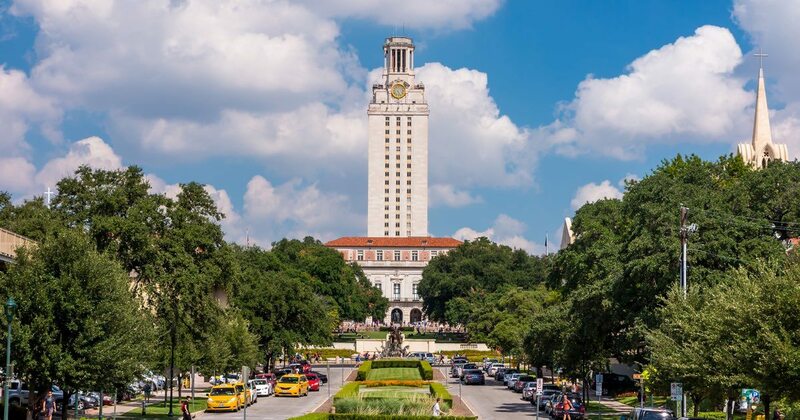 The report said the UT-Austin’s decision had implications not only for the future of Chinese money in higher education but also for the greater effort to counter Chinese interference in free societies, known as “sharp power”. Calling it one of the first examples of a university turning down money because it was tied to the Chinese Communist Party’s united front activities, Mattis has said the university’s deliberative and informed process should be a model for other institutions. However, broader challenges still remain. The Chinese government has sponsored hundreds of Confucius Institutes on college campuses that operate under opaque contracts and often stand accused of interfering in China-related education activities, the report noted. It pointed out that increasing numbers of Chinese students in the United States had come under pressure from their government when they had spoken against the party’s narrative. “Some have begun challenging professors who speak critically about Beijing’s policies,” it said.